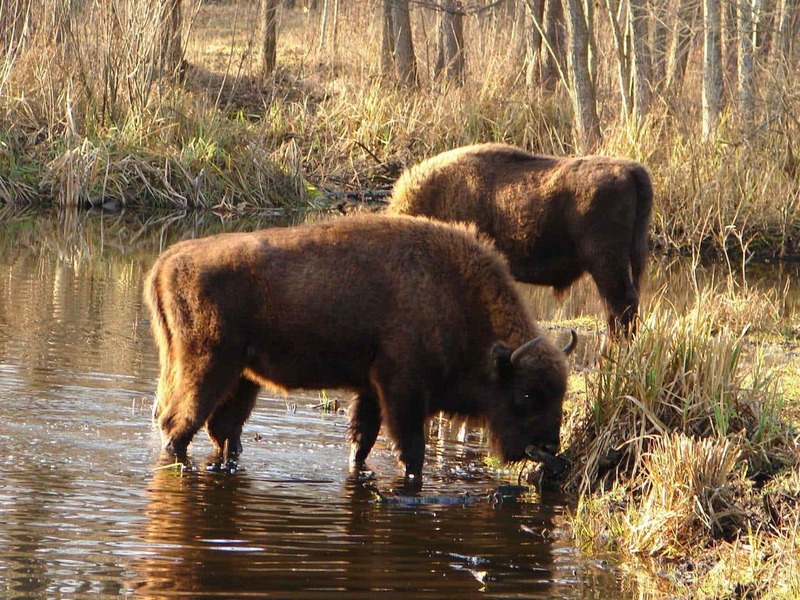 The exclusion zone around the Chernobyl nuclear plant, which was evacuated in 1986 after a devastating explosion and fire, has become a wildlife haven on a par with heavily-protected nature reserves, scientists have found. A detailed survey of the huge forested area around the stricken plant has revealed that it is teeming with large animals such elk, roe deer, red deer, wild boar and wolves despite being contaminated with radioactive fallout. The scientists found no evidence to support earlier studies suggesting that wildlife in the region had suffered from the radiation released after the Chernobyl accident of 1986 which sent plumes of radioactive emissions across much of northern Europe, causing radiation “hotspots” within the exclusion zone. Following the disaster, more than 116,000 local residents were evacuated from the zone around Chernobyl, which covers some 4,200 square kilometres (1,622 square miles), with only key construction workers and nuclear staff allowed into the site to safeguard the stricken reactors. The absence of human activity in the exclusion zone has benefited the wildlife of the region more than any possible damage it may have suffered as a result of coming into contact with radioactive elements, the researchers said. “It’s very likely that wildlife numbers at Chernobyl are much higher than they were before the accident. This doesn’t mean radiation is good for wildlife, just that the effects of human habitation, including hunting, farming and forestry, are a lot worse,” said Professor Jim Smith of Portsmouth University, who led the study. The researchers used a combination of field surveys and computer models to estimate the density of animal numbers throughout the exclusion zone. They found no evidence to suggest that any species of mammal had been adversely affected by the nuclear fallout. “These results demonstrate for the first time that, regardless of potential radiation effects on individual animals, the Chernobyl exclusion zone supports an abundant mammal community after nearly three decades of chronic radiation exposure,” the researchers write in their study published in the journal Current Biology. While the numbers of elk and wild boar, for instance, were undergoing rapid decline in the aftermath of the collapse of the Soviet Union in the early 1990s, the corresponding populations in the exclusion zone were increasing, the researchers found. The population of wolves in the exclusion zone was also found to be about seven times higher than in corresponding nature reserves in the region, they said. “These unique data showing a wide range of animals thriving within miles of a major nuclear accident illustrate the resilience of wildlife populations when freed from the pressures of human habitation,” said Jim Beasley of the University of Georgia and co-author of the study.